Duvel has a beautiful, effervescent, bouquet that tickles the nose with citrus and hints of grapefruit. The fruity notes are wonderfully balanced by the hops and gentle spice, leading to a slightly bitter finish that rounds out the beer perfectly. You are left with a sensational mouth-feel from the delicate bubbles and a sense of well-being. 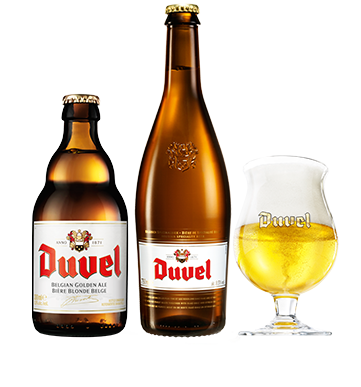 Duvel is traditionally brewed with two hop varieties. 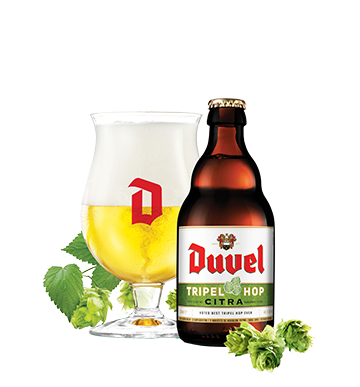 While Duvel Tripel Hop is brewed with three hope varieties and each year the third hop is changed to provide its unique taste and aroma. This keep the final flavour profile surprisingly exciting for any true beer lover.